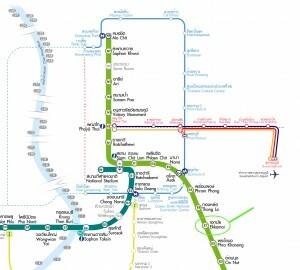 So now that I’ve convinced you to go to Ko Samet, I bet you’re wondering what the best possible way to get there is. This is a minibus. Probably don’t do it. Taximeter will be fastest, most comfortable, and most expensive. 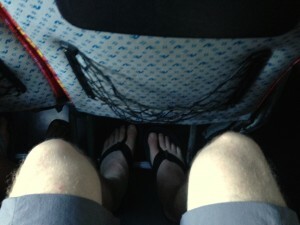 Minibus will be relatively fast, but from what I heard, extremely cramped and uncomfortable for about 2.5 – 3 hours. 2nd class bus is comfy but they stop at 846 bus stops along the way so it’s going to be a 6’ish hour ride. You can tell these from the First Class buses by the styled orange stripe along the side. 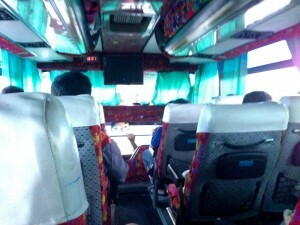 Do the First Class bus. The upgrade from 2nd class to first class is negligible. Even for Thais. I am not sure how the 2nd class even keeps running. I guess for people that need to get off along the way. These buses have a styled blue stripe along the side. 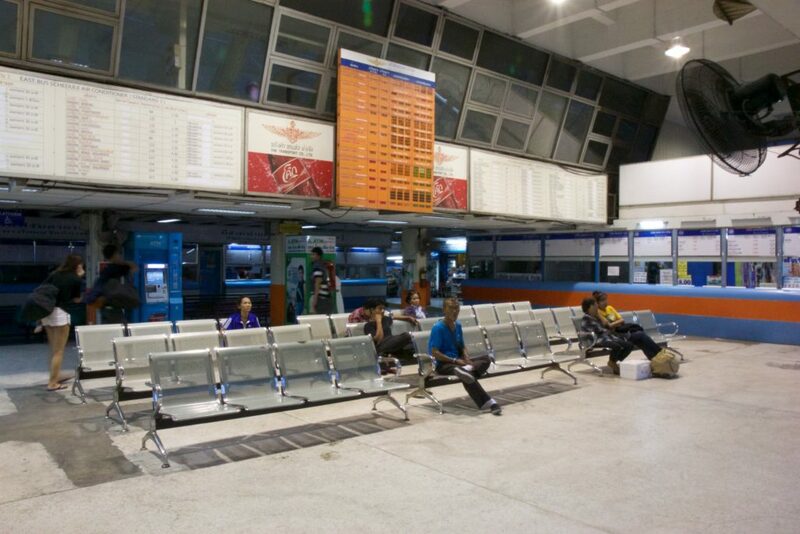 The First Class bus still make stops but only at select regional stations. It’s still slower than taximeter or minibus, but for the comfort and value, it’s hard to beat. It took 3.5 hours to get to Ko Samet from Bangkok and then 4 hours on the way back. Pro tip: They are comfy and air conditioned but that is used loosely. It was still hot enough to make everything sticky and somewhat miserable while the A/C worked just enough to make it tolerable and not drive you completely insane. Just somewhat insane. 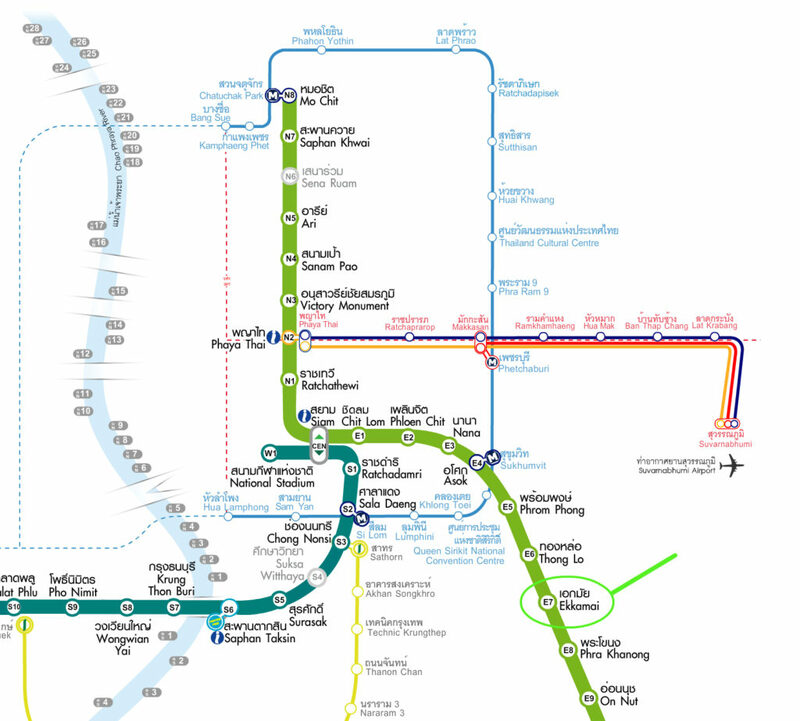 The main hub to get to Ko Samet from Bangkok is right off the Ekkamai BTS Station. 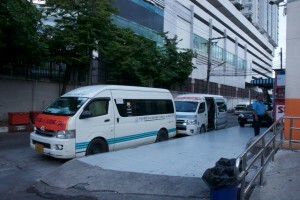 The actual bus terminal is called Bangkok Bus Terminal East. Once again, it’s super simple to get there. 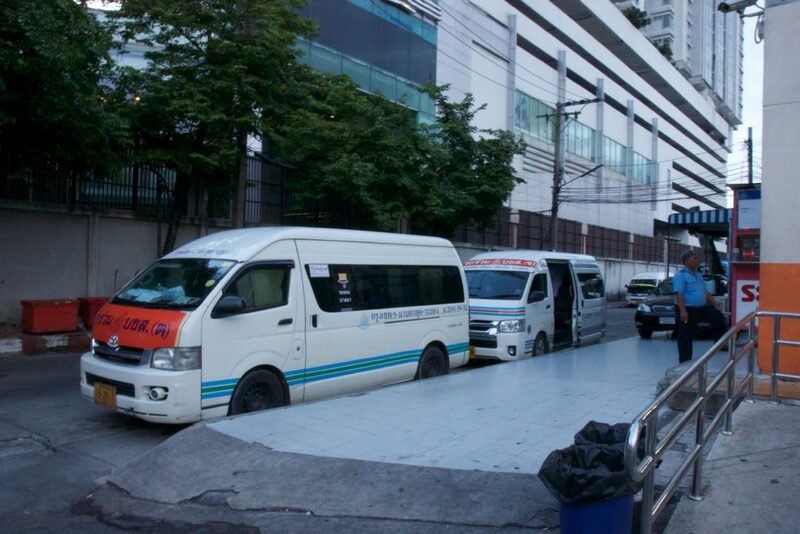 Hop on your favorite BTS line and get Ekkamai for 20-40 baht or grab a taximeter for 100’ish baht. 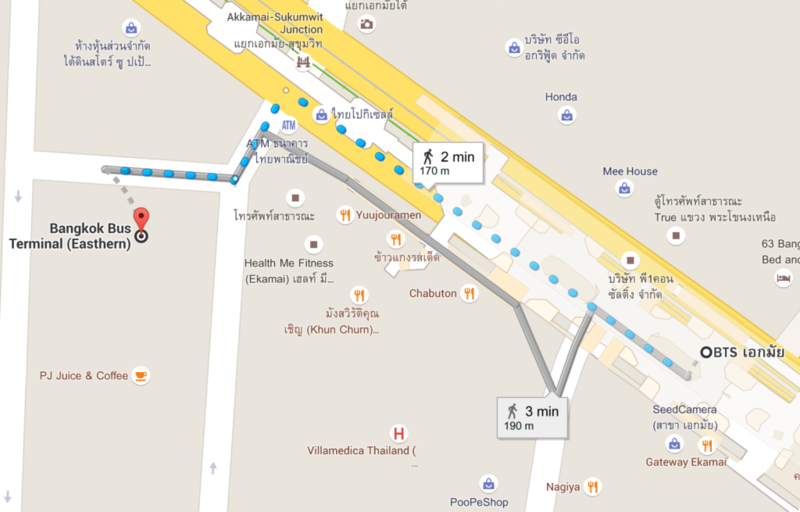 Once there, walk another 170m to the bus terminal. 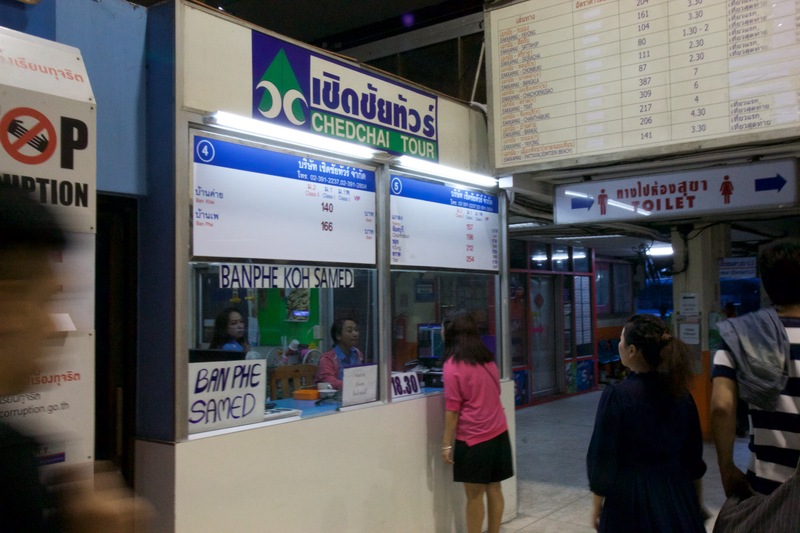 Once there, head to the window that says Ban Phe (that’s actually where you’re going), but don’t worry, the bus drops you off directly across the street from the ferry that will eventually take you to Ko Samet. 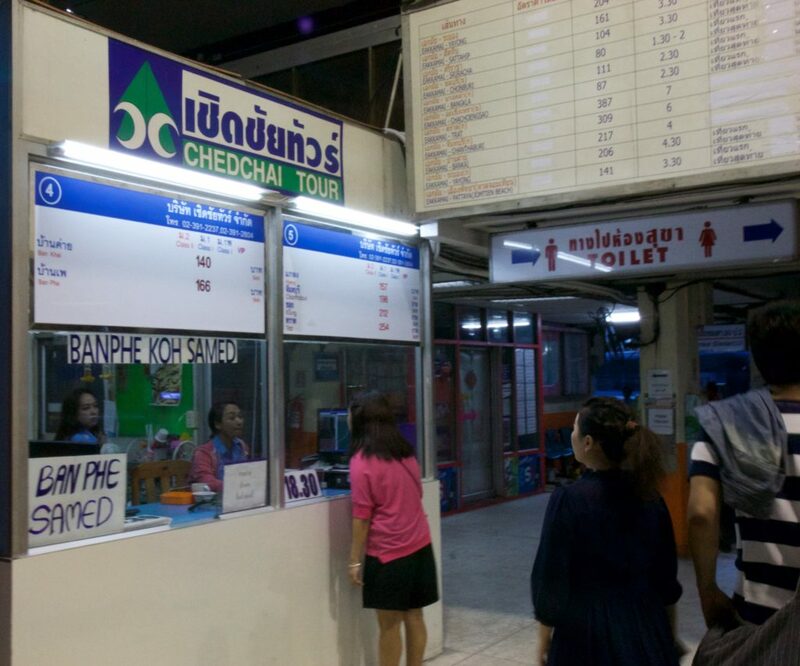 I suggest buying your ferry ticket here too just because the windows at Ban Phe are confusing and an absolute madhouse. To play it safe, follow the crowd to the large pier directly across the road from where the bus dropped you off. There’s at least 679 people here, and since this isn’t a real tourist destination, hardly any of them will speak English. Just enough. 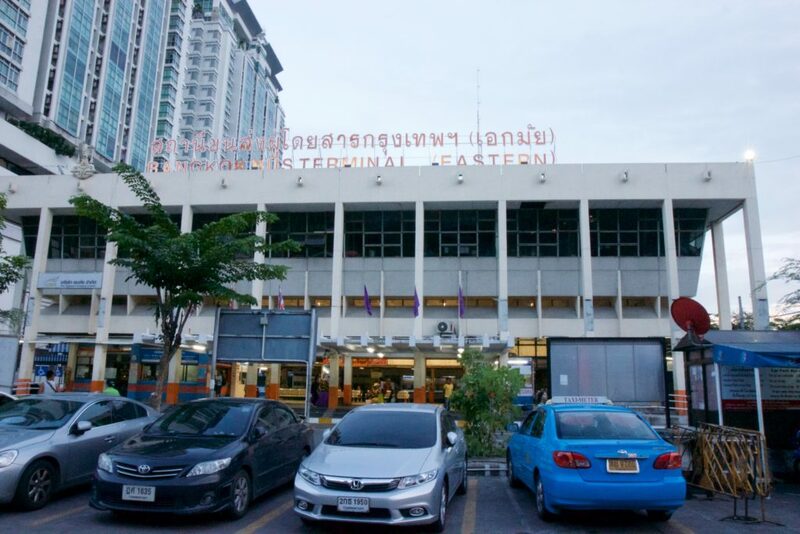 That’s why I recommend getting your ferry ticket at the Bangkok station where they’re more likely to speak English. Just remember, ask for the “big boat.” Avoid speed boats. If you want. 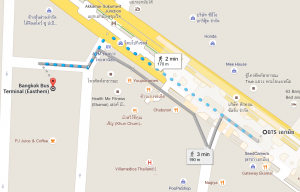 You’ll get there faster, but it will cost you 400 baht per person unless you can negotiate. 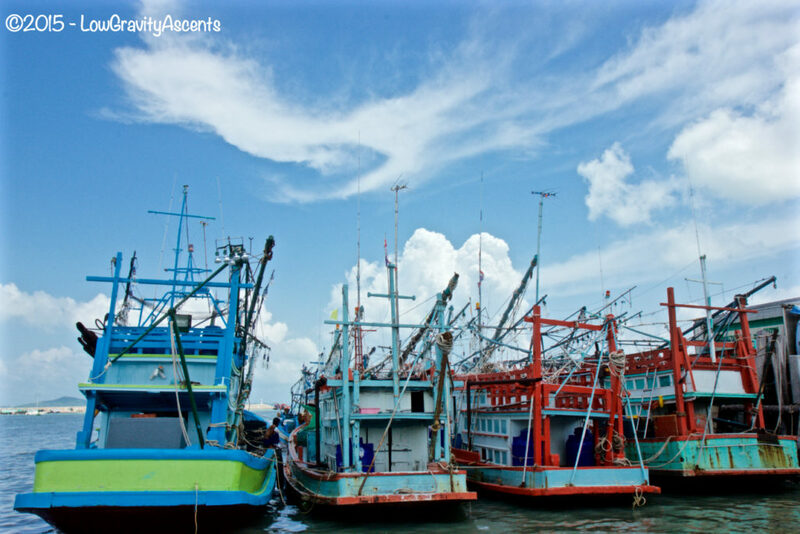 The big boat ferry will take you to a correspondingly large pier on Ko Samet island called Nadan Pier. From Nadan Pier, you can grab a taxi to anywhere on the island. There’s not much negotiating on the prices so just accept it (but still keep your ears open to what others are paying so you’re not the unlucky tourist that gets scammed; again, there are a lot of Thais here so they’re not going to screw them over — listen to what they’re paying). And then pay a 200 baht National Park fee. Now, I wouldn’t necessarily plan my whole travel day based on this little nugget I’m about to drop, but if you get LUCKY enough, you might be able to grab a ferry that goes directly to the beach you’re staying at. As you can see, not every beach of Ko Samet is listed. That means your best bet is to follow the masses to the Nadan Pier on Ko Samet and grab a taxi, even if it adds a little cost. Once at Samet Ville, it was much easier to see that there was a direct return ferry directly from the resort and what time it left. Hope you enjoy your stay at Ko Samet! I meah, Koh Samed. Errrrr…..
Then I took control of my life. Live your Life. Wild and free.